What does a bodhisattva, or an aspiring bodhisattva, do? Once we decide we want to attain enlightenment in order to benefit others, then what? How/what do we practice? 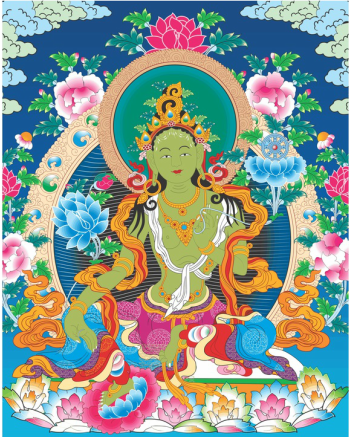 The main practice of a bodhisattva, a compassionate warrior, is the six perfections: generosity, ethical discipline, patience, joyous effort, concentration and wisdom. By developing these to their utmost, we will dispel our obscurations and suffering, develop boundless love, compassion, and wisdom, and actualize our highest potential – complete enlightenment. And then we will be able to perfectly benefit others. In this class we will discuss each of these perfections in an extensive and practical way, and also touch on the vows of the bodhisattva which are based on them. For all levels. Everyone is welcome to attend.